Our Best Answer - How can I find out the deadlines for my housing payments? It is your responsibility to ensure that payments are made on or before the due dates listed on the University Housing Services Cost Tables. We do not send out bills, but will send out reminders via email that fees have been posted to BroncoDirect. You should check your Cal Poly Pomona email account regularly. You can pay for any fees online through your BroncoDirect Student Center. If you would like to pay in-person, you can take your check/money order to Student Accounting & Cashiering Services in the SSB, Building 121 East, 1st Floor (Green Counter). 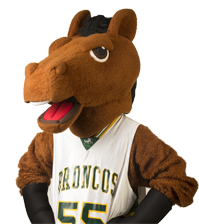 Be sure to write your Bronco ID Number on the check/money order indicating it should be used for your University Housing Services fees.